President Trump has said he does not "anticipate much" from this week's talks with China aimed at resolving the trade dispute between the world's two largest economies. In an interview with the Reuters news agency, he said he had "no time frame" for ending the stand-off between the two countries, which has seen both impose billions of dollars of tariffs, with the likelihood of more to come. He said resolving the trade dispute with China will "take time because China's done too well for too long, and they've become spoiled. They dealt with people that, frankly, didn't know what they were doing, to allow us to get into this position".In a wide-ranging interview, the president also discussed relations with Russia, Iran's nuclear programme, North Korea and Robert Mueller's investigation into links between Russia and his election campaign. 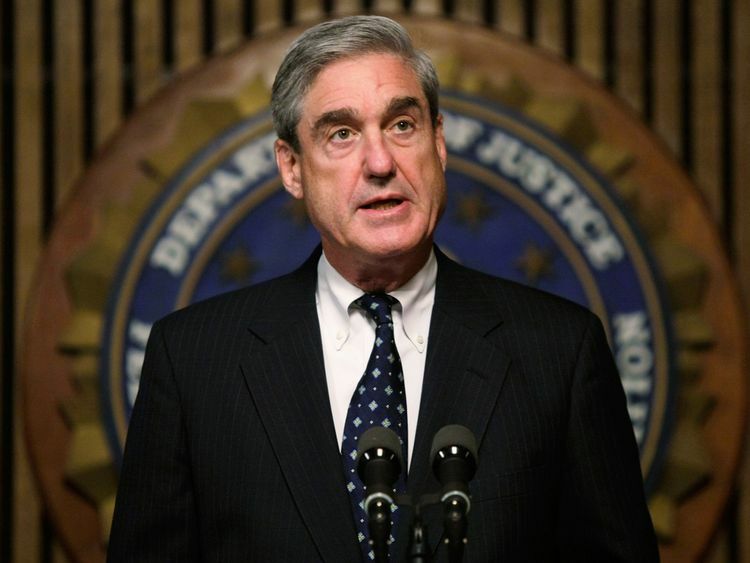 He said that had he decided to "stay out" of the Mueller probe but was "totally allowed" to get involved if he wanted to.He added that if he did say anything on oath to the inquiry it could be used to catch him in what his lawyer, Rudy Giuliani, described as a "perjury trap", because Mr Mueller could decide to believe someone else, such as former FBI director James Comey. "Well sure. He's right because if I say something and a guy like Comey, who's a proven liar - I mean he lied, he admitted he did. "You take a look at what he did in Congress he said he gave - he leaked. He lied. "So if I say something and he says something, and it's my word against his, and he's best friends with Mueller, so Mueller might say: 'Well, I believe Comey,' and even if I'm telling the truth, that makes me a liar. That's no good. "On Russia, the president had little to offer his counterpart Vladimir Putin in the way of hope that sanctions would be lifted. "No. I haven't thought about it," he said. "But no, I'm not considering it at all. No. I would consider it if they do something that would be good for us. But I wouldn't consider it without that. "That will be welcome news for UK foreign secretary Jeremy Hunt who will use a speech in Washington today to call for even tougher sanctions against Russia over the Salisbury novichok poisonings. 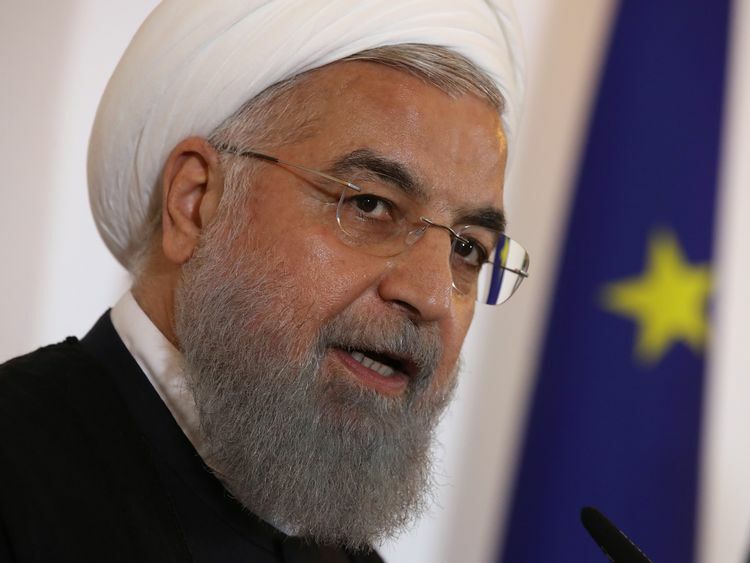 There was also no olive branch from Mr Trump to Iran over its nuclear programme.He said that there had been no contact about possible talks with Iran, but it was fine if Iranian president Hassan Rouhani wanted to meet, but if he didn't then he could not care less.He was more optimistic about relations with North Korea and said he hoped he could build on his personal "chemistry" with Kim Jong Un. "I met him three months ago," he said. "I stopped missile testing. Japan is thrilled. What's going to happen? Who knows. We're going to see. "Look, I have a good relationship with him. I like him. A lot of people will say: 'How could you possibly like him?' I get along with him very well; we have a good chemistry."